I'm writing you on Grandfather's birthday at his house in Mesa. Alba fixed a delicious dinner and Robert and family and Steven and Aunt Malinda and Henry and I ate with Grandfather and Alba. He is officially 85. The funny thing is that his age backwards is my age--58. Isn't that interesting. I wonder how that happened??? Last night Henry and I went to sleep at Robert and Bridget's. Henry went right to sleep. Robert and Bridget and I were staying up talking. It was so funny. I had just said that I had set some goals and was doing so well. Robert said, "Let me hear about your goals." In the next breath he was snoring! haha Bridget and I ended up enjoying each other's company before we finally went to sleep. Breena gave a talk in Primary. Robert went up to help her and I was standing by Aiden. His little feelings are so tender and he began crying. So I took him out. So I didn't actually get to hear her talk. But I looked through the little window and saw how beautiful she was standing up there giving her talk. Friday night we went on our date to Sweet Tomato. Megan and Bonny joined us. Henry and I traveled all day on Friday. Thursday night Henry went to the Madrigal party and helped get the new Madrigals out of bed. He pulled an all-nighter, so I drove all the way. Sorry about last Monday. I had DUP and couldn't be on-line when you were there. But at least my letter will be waiting for you when you get on. We will be on the road when you write your letter tomorrow morning. I'm so thankful you are serving the Lord on a mission. The Lord is happy with you and the work you are doing. 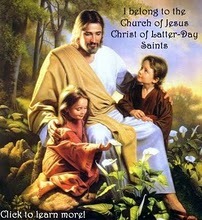 I know Jesus Christ lives and guides his church.